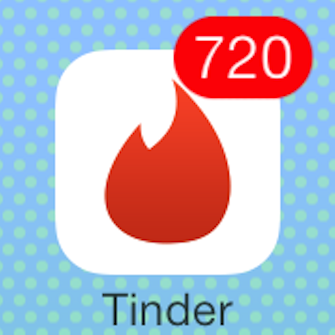 Share the post "Some Guy Gamed Dating App Tinder And Amazingly Got Over 800 Matches"
Note: some readers might feel like I ‘led people on’ or exploited the platform. Did I lead people on? No, not really. I’ve had a handful of great conversations with people I might have otherwise never met. Did I exploit the platform? Hell yes I did. After reading ‘Made to Stick’ I decided to experiment with implied authority. 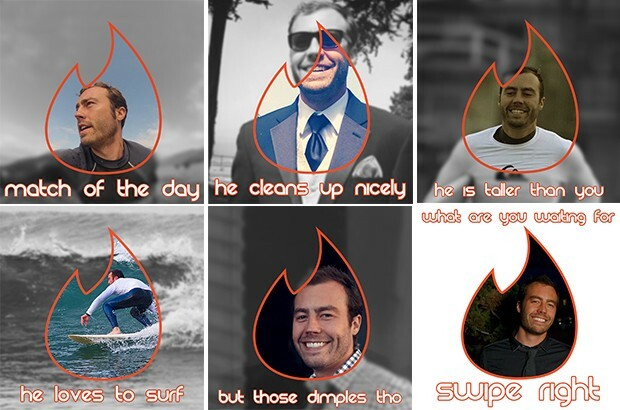 I wanted to make it look as if Tinder was endorsing my profile. 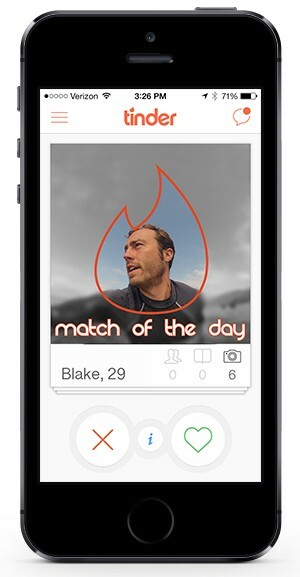 I hoped it would add more trust and credibility, which would result in more matches. I used Photoshop to make this image template. I got a high-res version of the Tinder logo here. 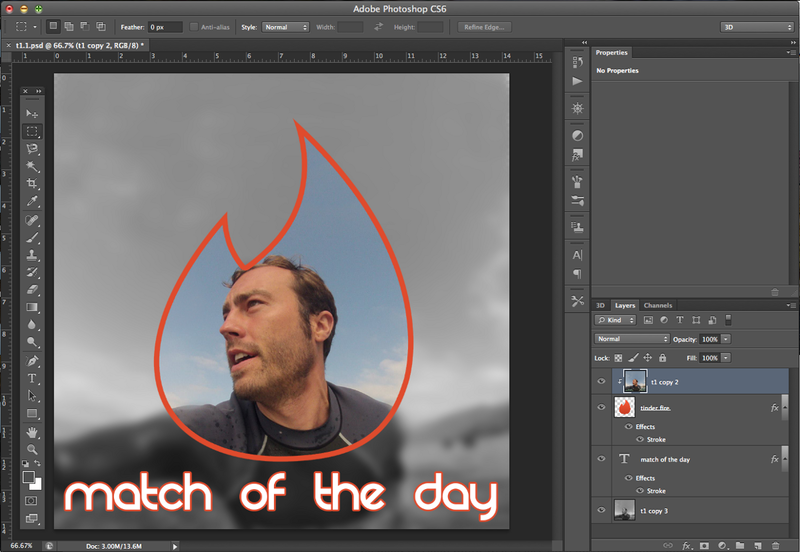 I used Photoshop to create a clipping mask of the Tinder logo. I duplicated the picture of myself to use as a background image, and applied blur and a B&W filter. I found a font called Rezland that matched the branded font pretty well. It’s not perfect, but it was close enough. On the first picture I wrote ‘match of the day.’ On the other images, I wrote different phrases that were in-line with what I’ve observed to be desirable on Tinder. The outcome looks something like this to people who see my profile in-app. You can see here that the font is not perfect. The ‘d’ is not the same in the font I used, and the cross of the ‘t’ is also lower…but I still felt it looked close enough for this experiment. I began mass-liking everyone that was recommended to me by the pocket-sized matchmaker. When I ran out of people to swipe, I increased my radius to the maximum (100 miles). I also increased the age range a bit. I started getting matches. Lots of matches. You are correct. The fact that I swipe right on everyone definitely increases the number of matches I get. But it’s an easy thing to do. Less than 8% of females will message first. I have gotten 64 inbound messages during this experiment. I messaged 20 people first, about half of which replied to my message. But seriously… only 8% of girls will message first!? That is crazy to me. It is possible that some users I matched with have not checked the app since matching, but that is very doubtful. 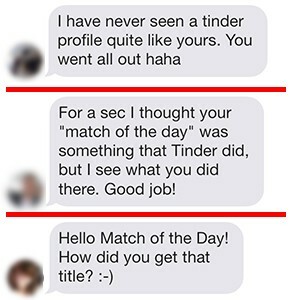 After all, most of the matches occurred when they clicked ‘like’ …which will prompt an immediate notification. Gender roles and cultural expectations are ridiculous. If you want to talk to someone, say hello. But to those 8% … Bravo! If you are one of the 720 matches who hasn’t messaged me, message me! I promise I will respond to you. I love meeting new people. Implied authority has a noticeable impact on behavior. I didn’t mention it above, but I started this experiment several days before updating my pictures. I swiped right on everyone to see how many people would message first. After I updated the images, the volume of matches per day increased significantly. The percentage of in-bound messages stayed relatively flat, but more matches meant more messages. The subject matter of the inbound messages changed. People started mentioning the ‘match of the day’ in their messages to me. 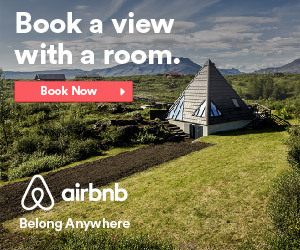 This experiment was native marketing to the extreme. I took all of the nuances that are part of Tinder, and leveraged them to the best of my ability. For example, girls will write ‘don’t be short’ or ‘I’m 5’9 and like tall men’ all the time in their bio sections. The second profile image I used had the caption ‘he is taller than you.’ While this might not be true for every person that see’s it, it will be true for most matches, and also make people smile. After all, Tinder is a game. And games should be fun. And fun should make you smile. I don’t know how long this tactic will work, so feel free to share it with your friends right now! « 9 Texting Pranks That Will Have You On The Floor Laughing. #3 Is Too Much. » Is This Real Life? Emoji Masks Are A Thing. You Must See This.